As fun as building something from your own imagination always is, recreating something from history can be particularly challenging. 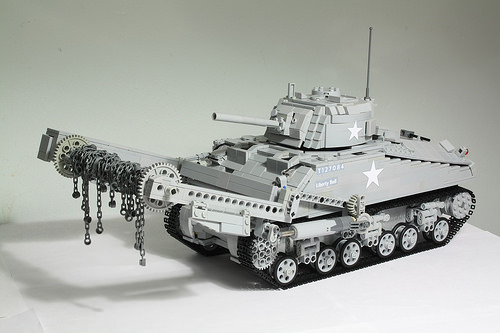 On top of creating a great-looking LEGO M4A2 Sherman tank from World War II at 1/18th scale, Tommy Styrvoky has added a mine flail, and then motorized the whole thing. Watch the video here to see it in action.